In September 2018 Gráinne Conole started in her new role as Professor and Head of Open Education at the National Institute for Digital Learning at Dublin City University (NIDL). Prior to her current position, the native Irish scholar was an avid international traveler as an independent e-learning consultant. Before consulting, Professor Conole has held professorships at the Universities of Bath Spa, Bristol, Leicester, the Open University and the University of Southampton. Her research interests focus on the instructional design of e-learning and open learning environments, including Open Educational Resources (OER) and Massive Open Online Courses (MOOCs). 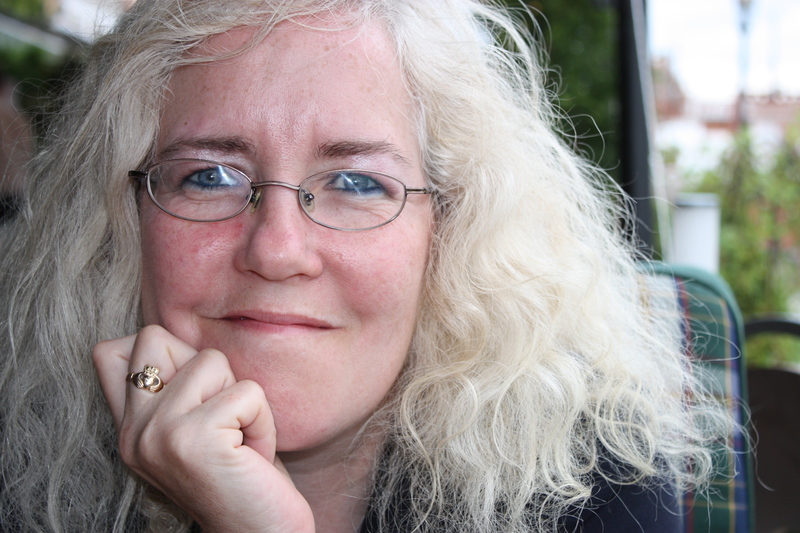 If you’re in the edtech field, chances are you will have encountered Gráinne Conole during one of her many workshops, talks and keynotes at international conferences, plus you will likely have read at least a few of her hundreds of publications. Most cited on Google Scholar is her book ‘Designing for learning in an open world’ (2013, Springer), in which she masters to bridge theoretical concepts such as activity theory and communities of practice with emerging technologies and trends in learning and teaching with open, social and participatory media. I personally recommend following her blog at e4innovation.com and on Twitter you will find her at @gconole. If in person or on the web, Gráinne Conole ranks among of the most influential educational technology professionals – see for example AACE’s 2014 list on who to follow on social media. For AACE Review, we talk about her career trajectory, her new role, new developments in open learning and the next challenges she wants to tackle. You recently blogged about your first day(s) at NIDL. Throughout your career, you seem to have not hesitated to take on new challenges on different campuses throughout the UK and now in Ireland. How have the different organizational settings at each institution shaped your leadership and your view of open learning? I have had the privilege of working at a range of very different institutions, from those that are research intensive to those that prioritise teaching and learning. The drivers in each institution will be very different. For example in an institution where research is privileged over teaching, it is more difficult to get academics to engage with innovating their teaching. I believe it is important to work both with academics on the ground and senior management, to make them aware of how digital technologies can be used to enhanced the student experience. In terms of academics it is important to use a range of approaches: one to one mentoring, targeted workshops, sharing of good practice, celebrating innovative practice, etc. In terms of senior management it is important to make them aware of what is on the horizon in terms of digital technologies and to help them think about the implications of these for their institution. What does your role as Head of Open Education at NIDL entail? Are there specific aspects that you are particularly excited about? I am very excited about the role. I very much enjoyed doing independent consultancy but have been keeping an eye out for a post that fits my expertise and interests and I feel this post is very much that. I have been lucky over the years in being involved in a wide variety of interesting research initiatives, but I am now keen to have a role where these research findings can make a difference in practice. The Open Education Unit is engaged with developing and delivering online courses through DCU Connected. We have a Welcome day for new students on 29th September and we expect about 300 students. A significant number of our students come through Springboad/ Springboard+ courses which provide the opportunity to obtain a university qualification at relatively little cost are open to all eligible applicants regardless of their employment status – namely those in employment, jobseekers, those who were formerly self-employed and returners (formerly referred to as Homemakers). More on the DCU Springboard courses can be found at https://www.dcu.ie/connected/Springboard.shtml. We have also just joined studiosity which will be an invaluable online service for our students. It provides 48 hour feedback on draft assignments and access to an online study coach. Do you think of yourself as a role model for women in the edtech discipline? I hope so!!! I remember Professor Wendy Hall at Southampton University who was head of Electronics and Computer Science very much being a role model for women, both at an individual level and through talks and involvement in various professional bodies and organisations. I think it is still the case that combining career progression and family life is challenging for woman. Often career opportunities come at the worst possible time, it was certainly the case for me – career moves happened at the worst possible time in terms of my daughters and it was only through the support of their father that I was able to take up these opportunities. I think it is important to provide support opportunities for woman to share and discuss ideas. I have given a number of talks outlining my career profile and associated triggers and challenges. For example see https://www.slideshare.net/GrainneConole/int-womens-dayconole. I also think social media offers great opportunities for woman to feel part of a broader community. On fb I am part of the women academic network group which is a great forum for woman to ask questions, vent frustrations and get support. You are a renowned expert on OER: Are you yourself currently using open educational resources to learn something new? Yes in fact I have just signed up for the DCU Irish 101 course on Irish language and culture which starts on 10th September. As I have moved backed to Ireland I feel the need to go back to my roots! You used to work at the Open University. Do you follow the annual Innovating Pedagogy report? Which trends from the 2017 edition will play a role in your work at NIDL? Yes, I think the OU’s innovating pedagogy reports are brilliant and the authors are all highly respected researchers in the field, like Mr Mobile – Mike Sharples. I think the reports are very insightful and are a must read for anyone in the EdTech field. Let’s talk about innovating in general. How do innovation concepts such as design thinking and innovation spaces such as fablabs and makerspaces blend with open learning in digital environments? For me designing for learning is the key challenge facing education. I have been working on Learning Design for about 15 years and from this have developed the 7Cs of Learning Design framework. This consists of a range of resources and activities to help academic make pedagogically informed design decisions that make appropriate use of digital technologies. It can be used to design face-to-face, blended or online courses. I have used this in hundreds of workshops worldwide and feedback from participants has been extremely positive. They set that it helps them think beyond content to the activities students will engage with. I very much intend to apply this across DCU. Externally the next workshop I will be running will be at the open college of the srts in November. In the US, many campuses are currently working on fostering inclusive teaching techniques. Minority students experience issues such as tokenism, invisibility, hypervisibility or onlyness isolation. How does diversity and inclusion factor into your work? Diversity and inclusion are critical factors. One of the reasons I wanted to come to DCU is that these are embedded in the DCU philosophy, a central tenet of DCU is about transforming lives and society. What aspects of designing for open learning change over time and what qualities are timeless when designing for learning? Obviously as new digital technologies emerge they offer new opportunities for innovating and transforming the student experience. What doesn’t change is that no matter how good a design is, the teacher’s role is still critical. Let’s talk about what’s on your desk right now: What are some new tools and apps that you are currently playing with? I have been on quite a steep learning curve this week since I started on Monday! I have been getting to grips with Google Drive, which I have used before but not extensively and also the various DCU IT systems. Dublin has a great bus service and you can buy a leap card which you tap when you get on the bus, this can be topped up via a mobile App. As I settle into my new role I will be getting to know the various tools and Apps associated with the online courses. Moodle is at the heart of this and DCU have customized this quite extensively. We also have an excellent video and podcasting facility in our building. What books and articles are next your reading list? Along with Mark Brown, I am currently writing a report on the future of school education and the use of digital technologies. This has involved extensive reading of the literature post 2016. Lastly, are their current research activities you would like to share? Projects, publications, upcoming talks, call for papers? I will be giving a keynote in Denmark in October, also Mark Brown and I have had a paper accepted for the EDEN research workshop which will be held in Barcelona in October. I have just had a paper published in the Journal of Interactive Multimedia Education with Eileen Scanlon from the Open University UK on interdisciplinary TEL research. Along with colleagues in NIDL and the Institute of Education at DCU we have secured a contract for a Springer book which will provide an overview of e-learning across Ireland. Pertinent issues raised some of which address SDGs. Have found the 7Cs of learning design quite beneficial too during Blended learning design workshops for teaching academics.